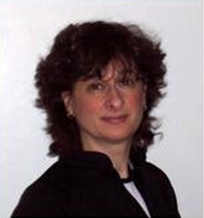 Linda is an expert with Assisted Yoga practices in the Boston area. It is based on both Hatha Yoga and the Chinese Meridian System of energy. Like unassisted yoga, Assisted Yoga promotes health, reduces stress and complements other alternative treatments. Ten-Times the Stretch, with Assisted Yoga— you get ten times more stretch from your muscles when assisted. Classic unassisted yoga only elongates muscles, which can cause more injuries. Assisted Yoga introduces the element of “resistance” to a stretch. We will align, elongate, and deepen the pose with resistance. The multi-dimensional approach achieves a fundamentally deeper level of stretch. This can substantially improve alignment, flexibility and strength faster than ordinary unassisted yoga. Assisted Yoga is for beginners and veterans alike — anybody who wants to feel better and be stronger! It’s particularly good for those who are prone to injuries, or have a physical condition that needs specialized attention. Linda specializes in treating sciatica, joint or alignment problems. Athletes in training or recovery find this Assisted Yoga especially effective for preventing injury and improving performance. Experienced yoga practitioners find that Assisted Yoga can take them to the “next level” of their yoga practice. Regardless of your experience with yoga or any physical conditions you may have, Assisted Yoga can help you build strength, flexibility, improve your posture, reduce your stress, and contribute to your general overall health.